Cutting vegetables into small pieces and exposing them to air before cooking may result in loss of vitamins especially Vitamin C and B vitamins like thiamine. Therefore cut your veggies in larger chunks and cook them immediately to prevent loss of these essential nutrients. Rice loses a lot of water soluble nutrients if you it rinse many times before cooking and draining excess water after cooking. Wash your rice with minimum water and cook in just sufficient amounts so that all water is absorbed and no nutrients with excess water get discarded. Did you know cooking eggs helps in destroying “avidin” a substance present in egg white which binds Biotin (Vitamin B7) and makes it unavailable for your body? So now you know why you need to cook those eggs well before you eat them. Excessive heating of milk may be undesirable since lactose (natural milk sugars) reacts with proteins in the milk and reduces the protein quality besides causing browning of the milk. Did you know repeated heating of oils and fats during frying may lead to formation of trans fatty acids (TFA) and certain toxic substances in the oil? Don’t use the same oil for refrying foods and always be careful when you consume fried foods outside you never know how many times the oil has been re-used. Steaming vegetables is a healthier cooking option than boiling, since contact with water during cooking removes water-soluble nutrients from food which leach out of the food into the water. Or if you must boil, don’t throw away the boiling water, but use it in some other way, like kneading dough or add to a curry. Lycopene is what gives tomatoes, pink grapefruit, watermelon, and guava their red color with tomato and tomato products being the single best source. Did you know lycopene from tomatoes sauces and pastes is better absorbed than raw tomatoes? Bioavailability of lycopene improves with cooking and presence of fat in the diet improves its absorption in the body. You have heard sprouts are healthy but do you know why? Sprouting improves the digestibility of pulses and grains besides increasing Vitamin C (a phenomenal 600 times! ), B vitamin content and iron gets loosened from its bound form and becomes easily available for use by your body. Just buying fresh organic produce is not good enough, you need to be aware of and use methods of cooking which preserve the nutrients of the food. 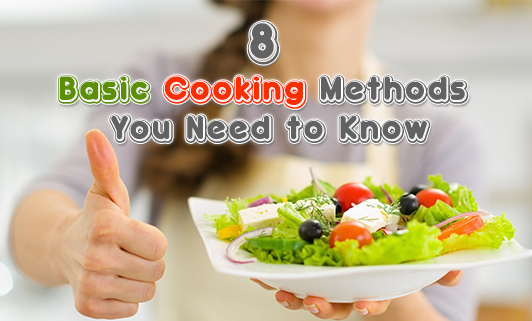 Incorporating these easy tips into your everyday cooking will make your food healthier!